In the 1950s, Joan Mitchell (1925–1992) emerged as a leading member of the second generation Abstract Expressionist movement. One of just a small group of women painters to gain acclaim in the movement, Mitchell is known for her expansive paintings and ecstatic, gestural brushstrokes. In her work, she sought to capture the emotional and psychological impressions of landscapes and experiences—each painting a preservation of feeling. “I could certainly never mirror nature. I would like more to paint what it leaves me with,” she once said. In Sale Neige (which translates to Dirty Snow) (1980), on view in NMWA’s collection galleries, Mitchell evokes impressions from childhood in her native Chicago—frozen Lake Michigan, falling through the ice in a sledding accident, and competing as a champion figure skater. 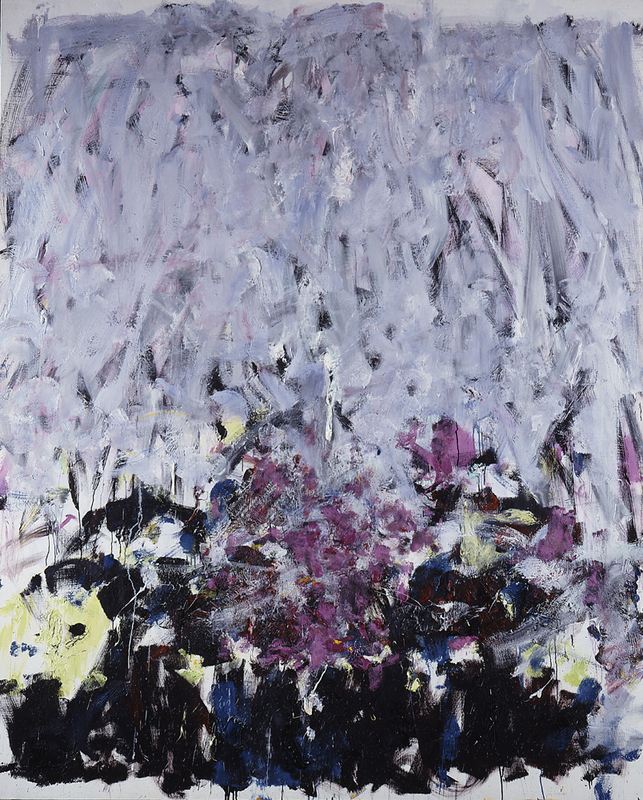 This entry was posted in From the Collection, NMWA Exhibitions and tagged Connecting the Threads, Joan Mitchell, Rodarte by Women in the Arts. Bookmark the permalink.